The CSE is fast becoming the exchange of choice for innovative and entrepreneurial public companies. Every day there are stories of companies joining the exchange who wish to harness the advantages that lower cost access to capital brings. 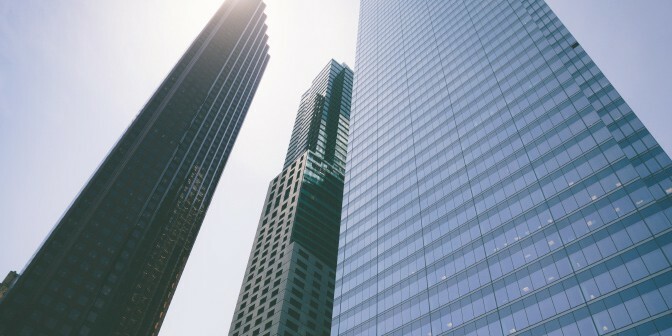 Along with its growth as a securities exchange, however, the CSE is also establishing itself as a nexus for innovation within the Canadian capital landscape. To provide a gauge of innovation at work at the exchange, the CSE along with partners at Solactive AG, developed an index of CSE companies which launched shortly before the beginning of March this year. Solactive calculates indices for over 160 clients across the globe. The CSE Composite Index is a cap-weighted index and is made up of companies listed on the CSE with a market cap of at least $5 million. 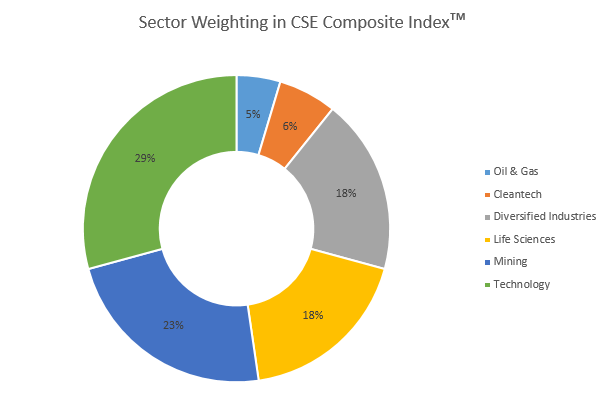 At the most recent count, the CSE Composite Index represents 65 issues across a diversity of sectors and has a combined value of just over $1.6 billion. The index is rebalanced quarterly (on the third Friday) in March, June, September and December. As can be seen in the graph, technology firms make up a substantial portion of the listings in the index followed by mining, diversified industries, life sciences, clean tech and oil & gas respectively. With the index being less than a month old, and having undergone its first rebalancing, there appears to be a promising future ahead of it. Nonetheless there are still some important milestones to reach. One of the big challenges that is being addressed, for example, is ensuring widespread access to the performance data of the index. Currently quotes are available via Bloomberg or Thomson Reuters with the ticker CSECOMP. The CSE hopes to widen access to multiple sites and quote feeds in the near future. For the moment, index performance updates are also available on the CSE website homepage. Also, the CSE Composite Index information page contains details on which companies comprise the index as well as additional data on sector weightings, top holdings and historical performance.